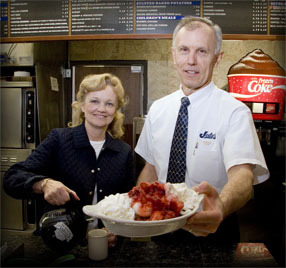 Jody’s, named after owners Joann and Don Mendham, has served Rockford families since 1981. 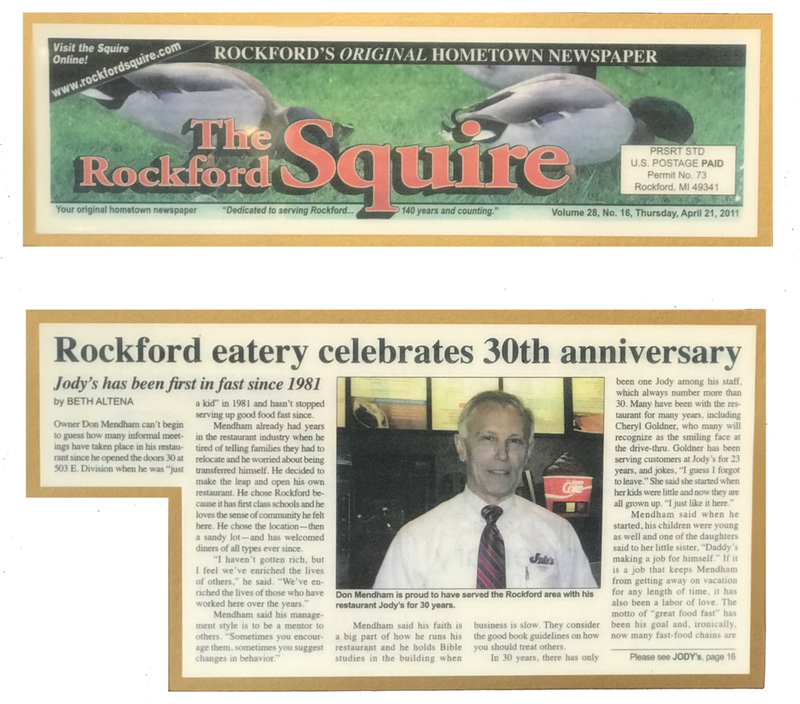 Jody’s has become a Rockford icon because we are a fast service restaurant with a menu that you would only expect in expensive restaurants. And, in an age when many fast food restaurants claim having “premium” items in the menu, we are proud to say that Jody’s has been offering premium items to customers for over a quarter of a century. “All premium, all the time” is more than just a slogan, it is the reason for Jody’s 35+ years of success.